Continuously happening innovations in technologies have completely changed the business world and the way various functions are being performed. Factories are not filled with too many machines and laborers, office tables no more contain pile of files and the marketing is no more limited to a particular region or within the boundary of a country. Rather, machines are programmed to perform automated functions, advanced ERP software now keeps the human workforce free from the unrelenting workload, business data is saved on cloud and can be accessed through mobile phones and tablets anywhere and anytime and the business market expands across borders. Indeed, it is a revolution brought by the advanced ERP software, which incorporates the power of evolving technologies such as The Internet-of-Things (IoT), SaaS, cloud-computing, Artificial Intelligence (Ai) and Automation. Value Creation Automation (VCA) is one such advanced business process management software, which helps SMEs and Large Enterprises in evolving holistically. From streamlining business processes to reducing operational costs to fulfilling modern-business demands - VCA supports business firms in implementing a robust approach towards running successful business operations. Value Creation Automation (VCA) is designed incorporating following 4 important components that make an ERP software imperative for businesses across the world. For years, businesses were dependent on the human workforce to perform diverse business tasks, which was not only time-consuming but also led to high error-rate. But with process automation software such as Value Creation Automation (VCA), businesses can perform various tasks and functions with enhanced efficiency and accuracy in comparatively less time. VCA is not just a CRM solution or an accounting software. Rather, it automates every single business process including finance, HR, supply chain, inventory, sales, marketing and many more. Moreover, it also consists of an inbuilt CRM, which helps companies in maximizing benefits from the healthy business-customer relationship. Also, inbuilt CRM in VCA keeps complete customer records including orders and communication at one place, which helps in resolving customer queries quickly. Incorporating the automation technology, advanced ERP software such as VCA organize tasks and helps companies in achieving organizational goals with the stipulated budget and time. Tasks with repetitive nature can be automated and businesses no more have to spend time and money on enhancing the accuracy of a single task again and again. Therefore, VCA also plays a key role in reducing operational costs of companies. Many of the ERP software offers only cloud-based solutions and this is one of the reasons that give VCA an edge over all such business management software. VCA consists of both SaaS and cloud-computing solutions. However, both SaaS and cloud-computing technologies have almost same features to offer, there is a slight, but a key, difference. Cloud-based ERP software is mainly suitable for Medium and Large Enterprises but based also on the Software-as-a-Service (SaaS) delivery model, VCA brings equal opportunities for small businesses to grow. With SaaS, VCA enables small businesses in starting almost with zero capital. Together these features, save businesses from paying for license fees, servers, keeping an IT team and for the installation of hardware and software. VCA is a user based software and businesses just need to pay for the number of users they have. SaaS-enabled VCA supports regular update of the system and hence it enables businesses in reaping the benefits of innovating technologies from time to time. Another important aspect that technologies such as SaaS and cloud-computing add are the flexibility, reliability, and agility of businesses. As the entire data pertaining to the business is saved in the cloud, it facilitates instant access to Owners, Directors and other authorized users anywhere and anytime, through advanced electronic devices such as mobile phones and tablets. And even, this component of VCA helps companies in saving costs by a great margin. Technologies such as Artificial Intelligence (AI) have turned cognitive abilities to be a reality. Coming out from the Sci-Fi movies, Artificial Intelligence (AI) plays to be an important component of advanced ERP software. With AI, VCA program machines to perform automated functions. It combines the human intelligence with advanced technology model, to help companies in achieving a smooth business workflow. 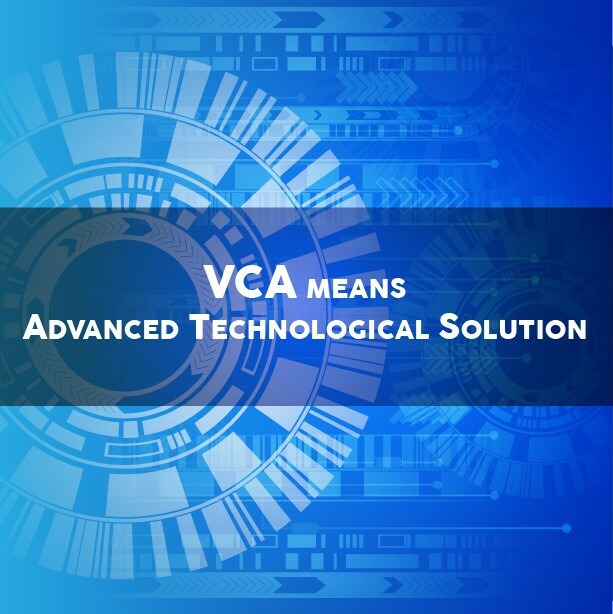 Besides, enhancing efficiency and accuracy of tasks and other various business functions, VCA also saves the human workforce from performing tasks involving a high level of risks. With technologies such as AI, VCA makes businesses responsive. This adds to the productivity and profitability of companies and also helps in building a strong credibility among customers. 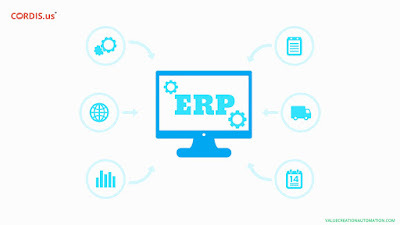 We will all agree to the fact that, “The Internet has fundamentally changed the way people find, discover, share, shop & connect.” Advanced ERP software enables businesses to integrate process, people, and other various functions through The Internet-of-Things (IoT). With this component, VCA keeps every single business process and other various functions integrated at one place. Owners and Directors can see details of every single transaction in the real-time, through a visual dashboard. Powered by SaaS, VCA’s visual dashboard gives instant access to transaction details, data, stamens, and reports, even on the go. The Internet-of-Things (IoT) keep businesses connected to a large network of computers, which allows stakeholders access required data and information through web browsers. With this component, VCA ensures business leaders remain updated with the entire business move. This boosts their decision-making ability and helps companies in growing consistently. Another big question is - Have such evolving technologies added to the ease of doing business or things have got tougher? Because, on the one hand, where The Internet-of-Things (IoT), Artificial Intelligence Automation and the Cloud have minimized complications of running diverse operations, smartphones powered by the Internet, on the other side, have made customers informed and tech-savvy as well. Defining Value and How ERP Software Help Businesses in Delivering Value to Customers? 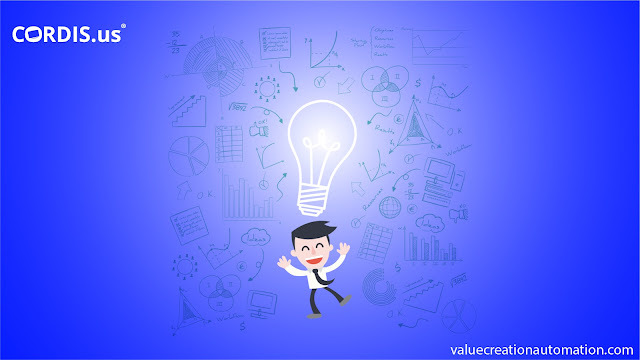 Value is mainly defined by performing business tasks, keeping in mind the customers continuously changing behavior. With mobile phones in the hand of more than 66% (4.917 billion out of 4.476 billion) of the total world population, customer-behavior tends to change perpetually. And, companies better understand this, as it can result in making a severe impact on overall businessperformance. Gone are the days, when businesses just focused on the quality aspects of goods and services, to woo customers. Now, it is more about value, which includes quality and all other aspects that can deliver complete value for the customer’s money. From receiving orders, packaging, shipping, making timely delivery and also after sales service - VCA makes the process smooth and super-fast. The cycle time, which is the time between getting the order and delivering it to customers, is reduced with the help of VCA Pushcord. VCA Pushcord, informs all the stakeholders at the same time. In other words, when an order is received, VCA Pushcord send an automated notification to inventory team, CRM team suppliers, and manufacturers, who instantly acts accordingly. And at all these stages, customers are duly informed by the automated system. This adds to their satisfaction and results in enhanced loyalty. This is the age of digital marketing and tools such as SMS, email and social media platforms are being used to connect effectively with customers across the world. Customers follow brands on Facebook and post their product and services queries on platforms such as Twitter. VCA converges all such advanced media platforms and ensures businesses remain effectively connected to customers through all such platforms. With an automated system, businesses can instantly respond to customer queries anytime and anywhere. And, this can positively impact the customer’s buying decision. Tools such as SMS marketing and email marketing takes messages directly to customers, which play an imperative role in developing a personalized business-customer relationship. With all such factors together, VCA helps in understanding the continuously changing preferences of the end-user. Therefore, businesses can make informed decisions, which can help in delivering complete value to customers. And thus, VCA significantly helps in achieving long-term business customer relationship, which can lead to a constant revenue generation and a sustained growth. ERPsoftware such as Value Creation Automation (VCA) can play an essential role in driving the overall business performance. From streaming processes, tasks and functions, identifying and eliminating performance bottlenecks, informed and effective sales and marketing approaches to delivering complete value to customers - VCA is an end-to-end business solution. Such business process management software helps companies in gaining customer loyalty, which can result in constant revenue generation and growth even in the long run. With innumerable businesses out there in the market, competition has grown manifold. Amidst prevailing market condition, where customers are both informed and tech-savvy, it is paramount to find an answer to the following questions, as they can determine the success and growth of any business. • How efficiently your business tasks are organized? • Is entire data pertaining to your business well structured? • Are your business processes streamlined? For long, business tasks were performed by the human workforce. With evolving technologies, the workload and stress of employees mitigated. And, in the contemporary world, when technologies such as the Internet and automation has become an integral part ofbusiness’ functioning, things have drastically changed. Today, traditional methods of performing business tasks are not apt. Even traditional business solutions are not helping companies in gaining competitive advantages. Thus, putting aside all such traditional approach, companies have now started resorting to advanced automation solutions, which are designed to help companies in streamlining processes and eliminating all sorts of performance bottlenecks. Value Creation Automation (VCA) is one such world’s leading business solution, which is designed with unique features that support companies in the structuring of data, organizing business activities and streamlining entire processes with utmost efficiency. Why structured-data, organized tasks, and streamlined processes is pertinent to the growth of companies? In the contemporary business scenario, more than 50% (3.773 billion) of the total world’s population (7.476 billion) are active internet users and over 37 percent (2.789 billion) of them actively use various social media platforms. In addition, the unprecedented increase in the use of smartphones has further revolutionized customers’ behavior and the way businesses function. We call a data-driven world. And the credit for the same goes to the Internet, mobile phones and of course, the various social media networks such as Facebook, Twitter, LinkedIn, YouTube and many more. Social media networks, which are being largely accessed over mobile phones through the Internet, have become an effective platform to establish a liaison between businesses and customers. For instance, customers follow their favorite brand on Facebook and use platforms such as Twitter to post their queries. And, in turn, businesses ensure they reply to customer queries and keeps them informed of sales, discounts and other various campaigns. Every activity is virtually performed. And, it is the data, which ensures — businesses are reaching the target audience, strategies have been effectively implemented, customers are getting value and in return businesses are gaining enhanced loyalty. Social media websites are that great platform where customers and businesses from all around the world interact and this entire process is driven by the data in particular. On the other hand, organized business tasks and streamlined processes result in an enhanced visibility. And, when the businesses activities and processes are visible, it facilitates enhanced operational and production control. It is imperative for businesses to keep business tasks, data and processes in harmony as these factors help in an exponential and a long-term growth of companies. It boosts decision-making abilities of business leaders and also plays a key role in gaining the confidence of employees as well as customers, suppliers, creditors, and investors. How VCA helps in the structuring of data, streamlining of processes and in running an organized business? It is simple, VCA helps in the structuring of data, streamlining of processes and in running an organized business through business process automation. • Automates diverse management aspects including HR, Logistics, Inventory, Supply Chain, Finance, Marketing and all others. Sports in reduced human intervention. Results in enhanced accuracy and completion of business tasks within allocated budget and time. • Communication is simplified. VCA integrates advanced communication channels such as SMS, email, Fax, Telephone, Voice mail, Video calling and many more. Supports both horizontal and vertical communication, it means, employees can directly communicate with the top level management, Managers can assign tasks addressing a team-member by his or her name and also track the task’s progress, without actually having to go. This significantly helps in eliminating the performance bottlenecks and establishing a smooth workflow. • Ensures that every task is organized and placed in proper sequence. Ensures uniformity in production even in the long-term. Designed to help businesses in delivering finished goods and services within the stipulated time. • VCA enables in delivering complete satisfaction and value to customers. From placing the order, packaging, shipping to the delivery of the order placed, VCA ensures value addition at every different stage. Evolving technologies such as Geo-Tagging maps customers address and thus results in accurate delivery. This plays a key role in building a long-term business-customer relationship. • With the automation of business marketing process, VCA helps in lead generation and an enhanced conversion rate optimization. Businesses can make automated posts on various social media platforms and connect with global customers. Additionally, promotions and campaigns can be planned much in advance and the date for launch can be set at a later date. Automated marketing has simplified business-customer communication as well. Companies can send automated bulk emails to customers and that too addressing them by their names. In the occasions such as birthdays and anniversaries, businesses can send customized and personalized emails to customers, wishing them. All these factors play a key role in gaining sustained customer loyalty, which can lead to constant revenue generation. • Designed with evolving technologies such as Cloud-based business solution, VCA keeps entire data not only protected but also organized. This also enables Owners, Directors and other authorized users to have instant access to entire business data, even on the go. Moreover, besides supporting the desktop platform, VCA is also designed to help businesses in performing business tasks through mobile phones and tablets. This further adds to the flexibility of running business operations. All the above-discussed factors keep business data, tasks and processes in harmony, which ensures optimum utilization of company resources. These support companies in growing sustainable both internally and externally. Why is VCA advanced than traditional business solutions? In one line, Value Creation Automation (VCA) is advanced than many of the traditional automation business solutions such as ERPs, CRMs, and BPMs. It is designed to support in an integrated business process management. It is not an individual process that is automated by VCA, instead, entire business processes are streamlined. It integrates communication, information, data, finance, HR, production, operations, inventory, supply chain and all other business aspects. Thus, every different business aspect is consolidated and is brought at fingertips of the leaders. It is not that ERP-based business solutions are not being used, but yes, the demand for such traditional business automation solutions have definitely receded. And, following are the main reasons for the same. • The rigid structure and the inability to integrate with new process requirements. • ERP-based business solutions or any other such traditional business application are not much helping companies in gaining competitive advantages. • Traditional business automation solutions such as ERPs, CRMs, and BPMs involves extra cost while updating the system and training employees to operate the same. And, it leads to cost-overrun. This is not a generalized perception. This is a fact, based on reports, which reveals many business leaders across the world do not want to invest in ERP-based business solutions any further. As a result, ERP, CRM, BPM and all other traditional solutions, which had a glorious phase for a long time, have now got dim. On the other hand, advanced business process automation solutions such as VCA possess a unique design that is flexible. Owners and Directors can quickly customize VCA and integrate it with new process requirements. Besides, incorporating proven technological models, mentioned below, VCA adds to the ease of carrying diverse business tasks and also helps significantly in reducing overall operational costs. • SaaS - VCA is based on a Software-as-a-Service (SaaS) delivery model, which is recognized by business leaders across the world, for its abilities to sharply reduce the cost incurred in running overall business operations. 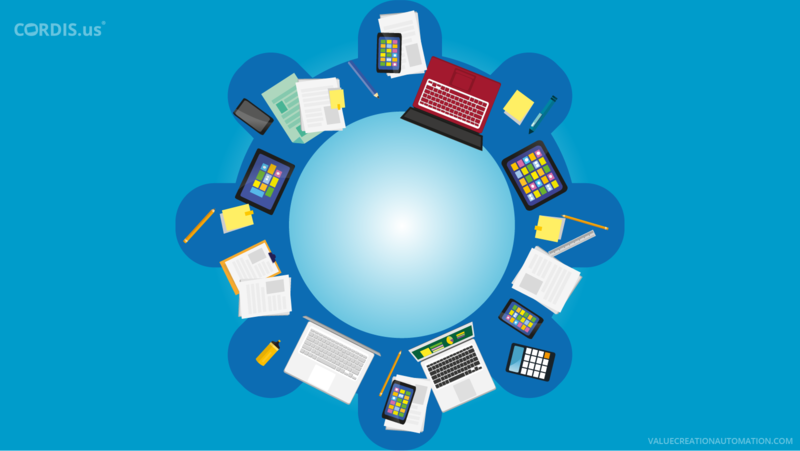 SaaS adds to the flexibility of performing diverse business tasks. Owners, Directors and other authorized users can control business processes and operations from even on the go. • Six-Sigma and Lean Management - Other business models that make Value Creation Automation (VCA) cost-efficient are Six-Sigma and Lean Management. Incorporating these models, VCA enables companies in successfully identifying the non-value adding tasks and eliminating them. Moreover, they play an essential role in minimizing the error-rate, maintaining uniformity in production and in achieving enhanced accuracy in business tasks being performed. VCA is cost-efficient as it is designed to implement tools and methods that enable companies in achieving the common organizational goal within allocated budget and time. Unlike CRM, BPM or any other ERP-based business solution, VCA does not make businesses invest in updating the system at regular intervals. It is designed with an inbuilt-development mechanism, which enabled by SaaS, which enables automated update of the system with innovating technologies, at regular intervals. With all these diverse factors, it won’t be an exaggeration to say that advanced business automation solutions such as VCA deliver value to both businesses and customers. 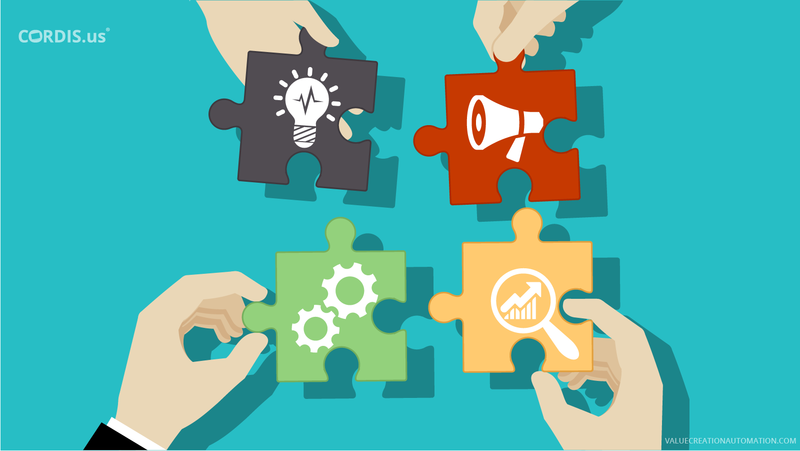 It can ensure a sustained growth and a sound return-on-investment (ROI). Businesses across the world are witnessing an age where humans need to team-up with their digital co-workers in order to survive. We cannot deny the fact that technological transformation is impacting everything - right from the way businesses function to customers’ behavior. Moreover, it is also true that as competition gets steep, businesses need to understand diverse nuances of the changing nature of demands made by technology-enabled customers. In order to cater to such demands, businesses need to perform and produce with a breakneck speed. And, they should be able to do this without compromising on quality of products and accuracy of tasks. It is time to say good bye to traditional approaches of business functioning. In fact, business should even get rid of some of the widely used automation applications such as ERPs, CRMs or BPMs. Instead, disruptive business technologies are making headlines. 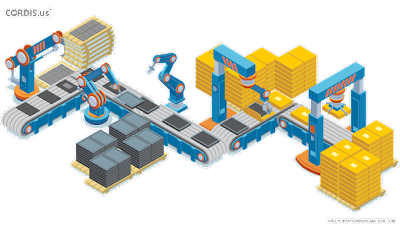 Value Creation automation is one suchadvanced business solution that enables in producing quality goods and services at a lightning-fast speed. Entire activity is automated and human intervention is reduced to a minimum level. This helps in completing business tasks with accuracy and precision. On other hand, VCA is designed with advanced business approaches that support in regulating business operations and entire production processes. Resources, workforce, time, budget and all other factors involved in running businesses are scrutinized and monitored in order to set a seamless business workflow. This helps businesses in maximizing benefits at every stage. 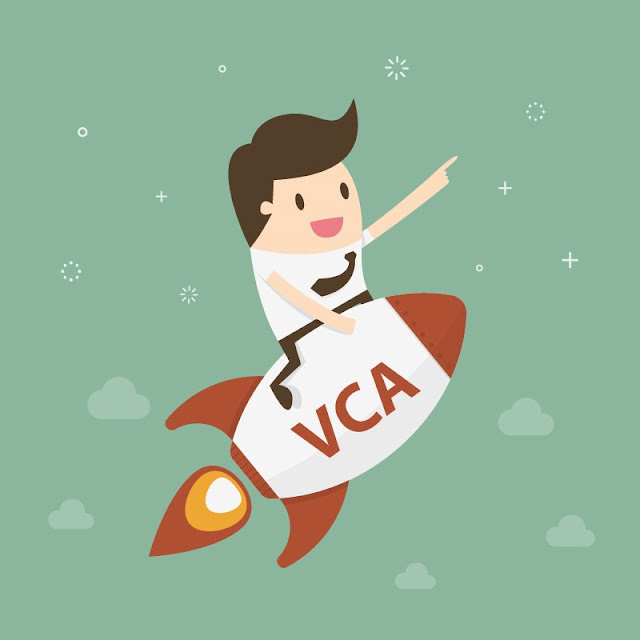 With VCA business can perform incredibly fast because it reduces dependency on humans as much of the activities are automated. Various functionalities such as HR< finance, inventory and supply chain are automated, which saves time for the human workforce to take care of other key areas of businesses. VCA has an inbuilt CRM, which supports in managing customer relationship from every single aspect. Understanding customer is an important aspect for businesses and therefore, VCA’s inbuilt CRM plays a key role in building a healthy relationship with customers. It encourages customer interaction and engagement, which makes them loyal and improves the retention rate. Advance automation technologies enable businesses in making processes efficient and support in a robust business functioning both internally and externally. It incorporates methodologies such as Six-Sigma and Lean production, which plays a key role in eliminating wastes within processes and also reduces error-rate significantly. VCA consists of a visual dashboard that makes entire business movement visible on one single screen. Hence, it allows businesses in controlling entire business operations even from a remote location. It supports in optimum resource utilization and helps businesses in produce more in less time. Moreover, internet functionalities such as HR, customer relationship, logistics and much more are automated, which makes the business system flexible. VCA digitizes complete business platform and thus reduces use of papers to a minimum level. With advanced automation system, businesses need not fear loss of data. It ensures maximum security and makes data readily available to business leaders, which helps them in effective decision-making. Unlike ERPs, CRMs or BPMs, VCA integrates departments and encourages transparency in communication. It allows Directors, Managers and other employees in communicating through various advanced mediums such as email, chat, once calls, messages and many others. And, all this can be done in real-time and at one single platform. This helps employees in getting their queries instantly resolved. In other words, this plays a key role in eliminating performance bottlenecks, which in turn support in achieving organizational goals within allocated time and budget. VCA unifies various old-day businessapplications such as ERP, CRM or BPM and can be customized as per new process requirements. And, these factors make VCA a unique and advanced business solutions in all aspects. Increasing competitions are quite often blamed for the loss in revenue of the retail businesses, whereas the fact is that there are other factors, especially changing customer behavior and the changing technologies, which are also equally responsible. In fact, it won’t be wrong to say that technological advancement impacts both customers and retailers. On one hand, where shopping and other related activities becomes convenient for consumers, retailers. on the other hand, faces multiple challenges in order to fulfil the consumers demand with utmost satisfaction. Retail automation is that technological advancement, which is meant to help retailers in delighting their customers in every possible way. Besides, there are business automation solutions like Value Creation Automation (VCA), which also help the retail business firms in evolving holistically. Powered by technological advancements, this is the age of customer-driven market for retailers, where automation solutions like VCA can lead retail companies beyond recognition. More than profitability, VCA is about adding value to every single retail business process and making companies a brand people can rely upon. In simple words, in order to run a successful business, it is paramount for the retailers to find advanced measures to deliver quality in product and maximum satisfaction in services, to their customers. Retail companies must always be on the lookout for the new approaches that can help them establish a robust customer relationship, leading to their retention and improved loyalty. In the prevalent business-market condition, exploring VCA’s potentials can be very beneficial for the retail companies, as it can add new dimensions to their businesses. Before we proceed any further, lets revisit to the definition of retail automation. Going beyond the technical definition - in the places such as malls, convenience stores, airports, resorts and other retail businesses which receive heavy footfalls - the management of activities becomes difficult for the human employees. Retail automation introduces self-service module through advanced business automation solutions. It not only helps retailers in managing business processes with utmost efficiency but gives a fresh and exciting shopping experience to the customers. And, of course, ecommerce is the new addition in the retail businesses that tries to reach global customers. And, VCA can help them in fulfilling the high demand generated from the prospective customers available online. Putting it simply, Value Creation Automation (VCA) is a business automation solution that can help retail companies in performing those business operations, which is beyond the human capabilities. VCA offers end-to-end workflow solutions, which results in optimum resource utilization and timely delivery of goods and services to the customers worldwide. The automated retail platform is efficient, accurate and responsive, which together helps businesses in delivering value and complete customer satisfaction. Going steps ahead of CRM and ERPs, VCA offers complete business automation solutions, which programs the business systems for automated functioning. What makes VCA a one-stop platform for all automation solutions? Apart from its innumerable features, there are few important factors of VCA that makes it a one-stop platform for all the automation solutions. 1. VCA programs the retail business platforms to urgently respond to a situation. In other words, it helps businesses in sending out automated response to their customers, or said more appropriately, it automates customer engagement. 2. Its holistic approach, makes it different from other various automation solutions, which with its end-to-end solution, VCA automates complete business processes. 3. In-built development mechanism of VCA, helps it in keeping the businesses updated with the latest business trends and technological advancement. How VCA can help retail house in handling day-to-day business operations? Multiple processes make the day-to-day retail operations lengthy, and also unmanageable to some extent. From updating inventory to getting the product and services delivered to the customers - it needs precision, perfection and accuracy. VCA leaves no room for errors. It reduces human intervention and also automates tasks which are repetitive in nature. This results in a sharp reduction in the operational cost. VCA facilitates real-time monitoring of every business activity, with the help of its single controller screen. It ensures none of the company resources remains idle and maximum productivity is achieved. Having streamlines the complete business processes, Value Creation Automation (VCA) facilitates retail companies with a seamless workflow. When discussing retail automation, there are two elements without which the discussion would not be complete. These are Point of Sale (PoS) & User Generated Content (UGC). An automated Point of Sale (PoS) system, is one of the key benefits that VCA has to offer. With an automated PoS system, retailers can have a completely streamlined business processes. PoS system is that point of convergence, from where the company owners and managers can oversee complete business operations. From integrating register screen, receipt printer, bar code scanner, cash drawer, credit or debit card reader to getting sales report and managing company employees, inventory and the customers - VCA automates every single business activity. Automated PoS can become the lifeline for any retail business organization. Thus, VCA helps retail business in recording every single transaction without any chance of data loss. Moreover, automated PoS enables the retail houses in running their day-to-day operations efficiently and with utmost accuracy. As the name suggests, User Generated Content (UGC) is the content generated online by the customers or the end-users of the products and services. It can be in the form of blogs, comments, audio, video or even in the form of discussions on various forums. VCA makes UGC robust and effective and also results in making the feedback loop for the retail businesses more productive. When customers or end-users talk about a company’s products and services, it builds trust and value for that company. More the customers talk about a company, more increases the brand awareness. According to a statistics published in a report by TINT, 93 % of the total customers find UGC very helpful while taking their purchasing decisions and also it enhances the conversion rate by approximately 29 %. There are reports, which also informs that the customers spend up to 5.4 hours, on an average, on the content generated by the users. Automated UGC not only gains SEO (Search Engine Optimization) for the company but also help them in understanding the customer behavior. The 21st century customers expects on-demand fulfillment of their orders, which is difficult for the retailers without incorporating advanced business automation solutions such as Value CreationAutomation (VCA), into their business system. Retail automation can help businesses in understanding their customer’s continuously changing behavior and act accordingly. In order to gain the competitive advantage, retail business firms are left with no other option but to automate their process. There is a very famous saying, “Every great thing comes to an end one day.” Same goes true with the various business solutions and the changing technologies as well. When there is a change in technology, it brings along excitement for the end users. Continuous innovations lead to a transformation in technology every few years. And then what? Businesses are forced to adapt to the new technology if they want to be in the competition. In such an environment in the market, businesses need more robust, more promising business solutions, which can stay with the company in the long run. Not like Enterprise Resource Planning (ERP) business solution, which has lost its importance with the time it has started to fade away. The BPTrends report would confirm that ERPs, BPMs and other old business solutions “enjoyed periods of intense attention and have then receded” gradually. Value Creation Automation (VCA) can be one such automation solution, which is both promising and robust. It not only transforms the business operations and its functioning but also helps companies in its holistic evolvement. Enterprise Resource Planning (ERP) business solutions hit the business world somewhere around 90’s and in the prevalent business scenario, it can’t be of much use to the business firms. It is still time taking and costly and was also considered to be performing below the expectation level. ERPs are limited to integration of departments, data and some of the back-office tasks. 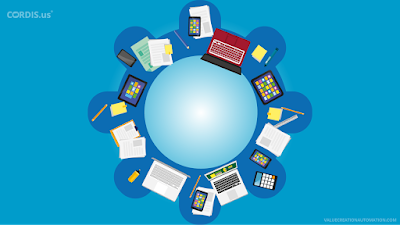 When implementing Enterprise Resource Planning (ERP), it needs human intervention. While selecting the processes or departments that have to be integrated or while setting up the goals; ERPs did not perform automated function. Even to integrate the data, manual intervention is required. Therefore, ERPs can lead businesses to an increased rate of error. 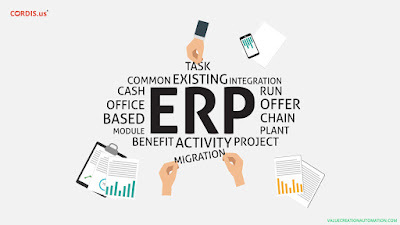 Although, ERPs added to the functioning of businesses in those days when mechanization was stepping ahead to embrace technological advances, but implementing ERP solutions always remained a challenge for the business leaders. Such challenges forced the business leaders to gradually embrace and adopt the technologically advanced business automation solutions like Value Creation Automation (VCA). 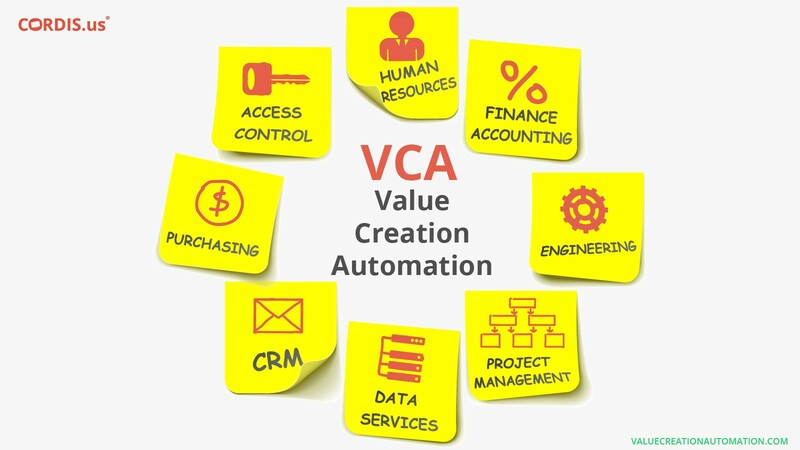 What is Value Creation Automation (VCA)? 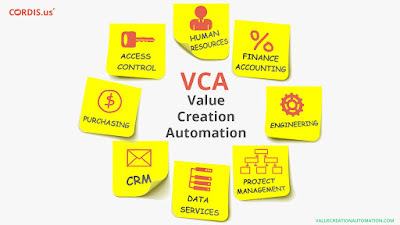 Value Creation Automation or VCA is one of the advanced business solutions that can help business leaders in making their company operations robust and efficient. VCA is one-of-a-kind business automation solution that is best suited to business organizations of all size and which wants to sharply cut on their operational cost. VCA means complete business process automation and not just a part of business processes. 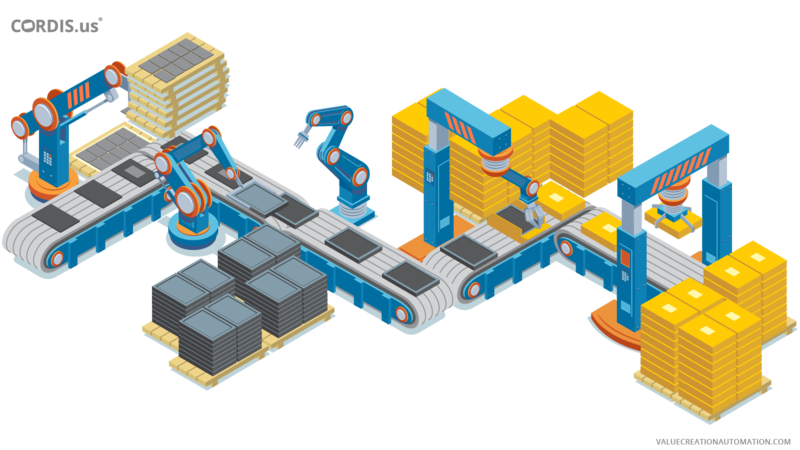 Unlike ERP, CRM, and BPM business solutions, Value Creation Automation is designed to give businesses an end-to-end solution, right from ideation to the delivery of products and services to the end user or to the customers. VCA not only combines the power of various older business solutions like CRMs, BPMs, and ERPs but can be worth exploring by the business leaders in order to harness maximum benefit from their businesses. There are multiple factors that make Value Creation Automation (VCA) superior to older business solutions like ERPs, BPMs, and CRMs etc. VCA is not completely guided by the humans, rather it guides the workforce in companies. It enables the business leaders with the power to predict and analyze risks and hence give them an enhanced decision-making ability. Even more, it results in the reduction in human intervention, which ensures that there are no mistakes made. Therefore, automated platform ensures that time, money and effort or the resources are not wasted in completing the same tasks again and again. Moreover, tasks that are repetitive in nature gets automated and are completed at an incredible speed. once incorporated and implemented, VCA directs the workforce through the entire business workflow. Organizational goal is set, resources undergo optimum utilization, standardization of work is created; time and budget against each task are allocated - every single process can be automated through VCA. Entire business processes get automated, which leads to maximum productivity in less time and also results in the increase of profit margin to a great extent. In between the production processes, these advanced business automation solutions also integrate the different departments in an organization. Be it Finance, Administration, HR, Inventory, Supply Chain or any other department for that matter - each of them can be empowered by the advanced technological solution of VCA. Generation of bills and invoices, receiving and making payments, preparing payrolls every cycle, taxation, business auditing etc. - most of the businesses activities gets automated. VCA successfully records every data in detail and therefore, calculations always go right. Preparation of financial reports and analyzing business’ behavior become hassle-free. In other words, the business leaders can be more creative and effective while taking business decisions. ERPs were not designed to perform such actions and that is why it is considered to be an underperforming business solution by many companies. Business Solutions like Enterprise Resource Planning could never eliminate the inefficiencies in businesses because they did not have potential to offer an end-to-end solution like VCA. VCA has been designed with an inbuilt development mechanism that allows it to keep the business systems updated with the latest changes in technology. It means that, with VCA, a business system will not have to use an outdated technology. With this ability, VCA can always give business organizations a competitive advantage. Business automation solutions like VCA also strengthens the business marketing strategies. Automated marketing helps businesses in reaching to global customers through both offline and online mediums. Even more, VCA guides business firms through the complete growth prospects healthy return-on-investment. Automation solutions add value to organizations and ensure that the companies win the trust of the customers. Triggered by advanced technologies, Value Creation Automation has the potential to help companies in achieving a sustained performance. VCA can enable them performing business functions and activities with utmost accuracy, precision, and perfection.